Egyptian billionaire, Sawiris, sets sights on ventures in North Korea - SABC News - Breaking news, special reports, world, business, sport coverage of all South African current events. Africa's news leader. Egyptian billionaire businessman, Naguib Sawiris, said on Tuesday he sees opportunities for mining, telecoms and hotels in North Korea if a summit between its leader Kim Jong Un and United States (US) President Donald Trump later in February is successful. Trump said last week he would hold his second meeting with Kim in the Vietnamese capital, Hanoi, on 27 and 28 February after an unprecedented first meeting between the leaders in Singapore last June. “It’s just a country full of opportunities if it opens up. I am looking forward in other areas such as mining,tourism, agriculture, agro-industries. 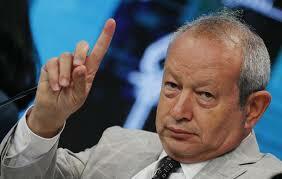 But mining is amazing -they have so many resources and they don’t have the money to spend on exploration,” says Sawiris. A State Department spokesman said last week that topics for the summit include complete denuclearization, transformation of US-North Korea relations and building a lasting peace mechanism on the Korean Peninsula. “I am very upbeat on the (Trump) meeting because I think we might really achieve peace in that meeting. I think the North Koreans – all that they want – is recognition, respect, dialogue and they are getting it now,” says Sawiris. He said mobile phone penetration in North Korea was around15% of the population or some three million people and market growth was limited because of expensive handsets that needed to be paid for in foreign currency. This came after the United Nations (UN) Security Council tightened sanctions making it illegal for foreign companies to form commercial joint ventures with North Korean entities. This entry was posted on 12 Feb 2019,12:19PM at 12:19 PM and is filed under Africa. You can follow any responses to this entry through the RSS 2.0 feed. Both comments and pings are currently closed.